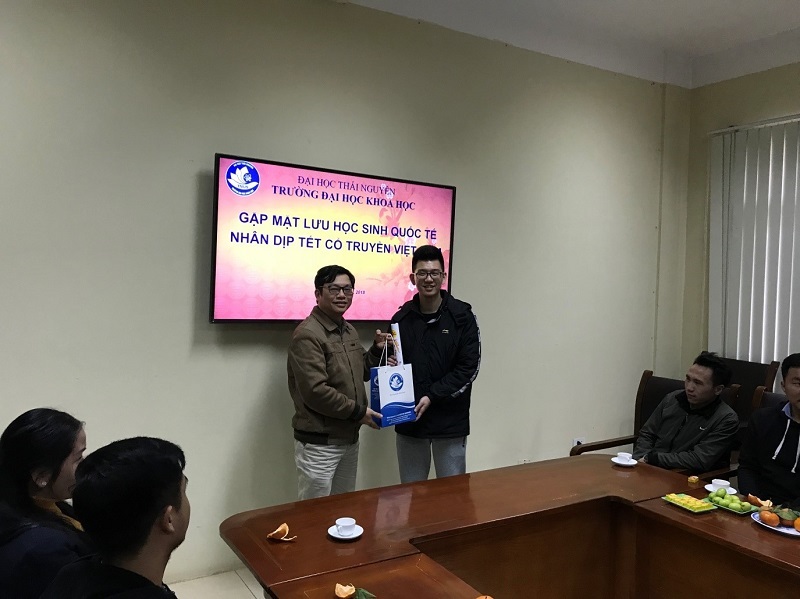 Afternoon, January 30th 2018, A meeting was held among the international students studying at TNUS. 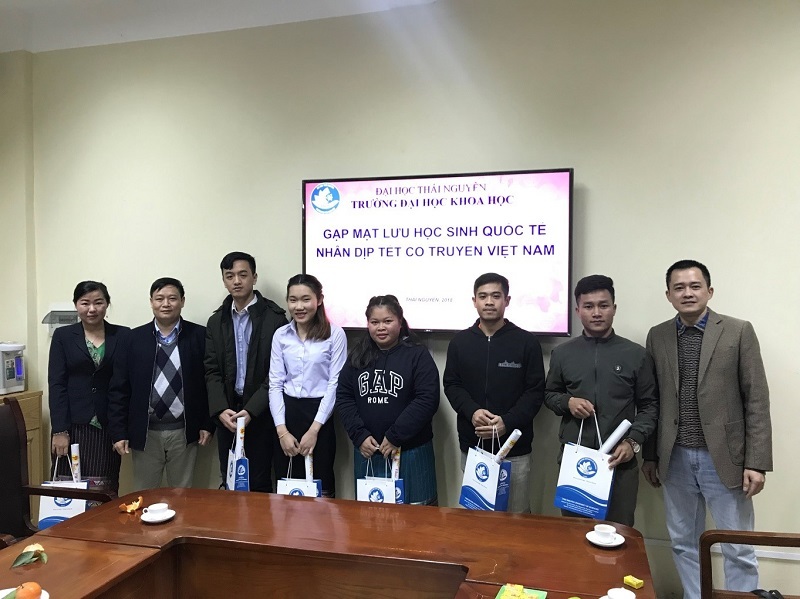 It was a chance for the Board of rector to give them wishes on Vietnamese traditional New year holiday, moreover, to encourage them on their study. 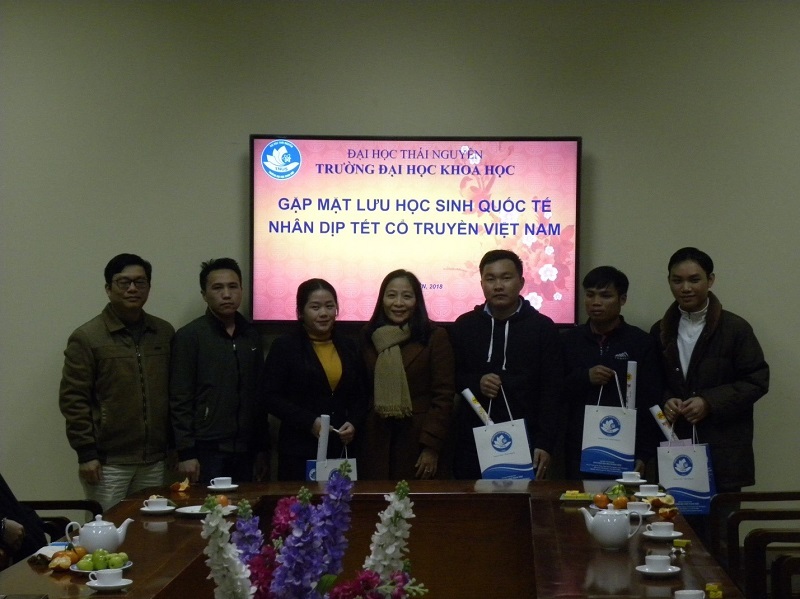 There was the presence of Dr. Pham Thi Phuong Thai Assoc. Prof., Vice Rector and leaders from offices, faculties, head teachers and all the international students. 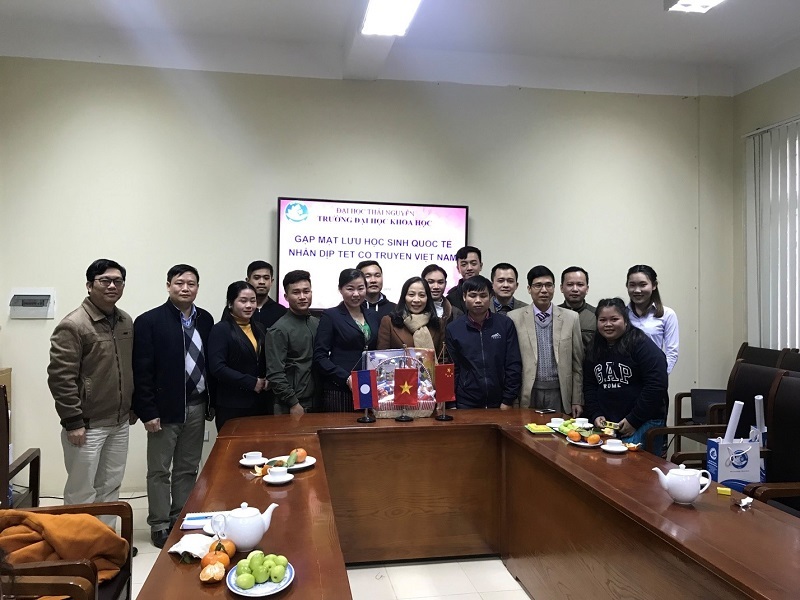 On behalf of the Board of Rectors, Ms. Pham Thi Phuong Thai gave them warm greetings, and introduced the beauty in Vietnamese traditional New year holiday. On this occasion, Ms Thai hoped that they would continue to work hard tobe good contributors to their countries in the future. Ee Vanghouamoua, Laotian student, expressed their thanks to the teachers, to great help and care to international students to settle and pay all the attention to study. She also represented international students to wish the teachers good health and happiness for the Lunar New year.